Dr. Aliyu Abbati Abdulhameed is the Managing Director of the Nigeria Incentive-Based Risk Sharing System for Agricultural Lending (NIRSAL). Mr. Abdulhameed holds a B.Sc. in Agricultural Economics and Rural Sociology from Ahmadu Bello University, Zaria, a Master’s Degree in Public Administration with specialization in Public Policy, and an Executive Masters Certificate in Project Management from the Project Management College (UK). 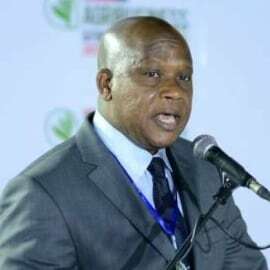 Currently as an Executive Team Member of NIRSAL Plc, he has over 22 years’ experience in corporate agribusiness, and in the field of Agricultural Finance and Risk Management. NIRSAL, a Public Limited Liability Company licensed as a Non-Bank Financial Institution (NBFI), is an initiative of the Central Bank of Nigeria (CBN), the Banker’s Committee (BC) and the Federal Ministry of Agriculture and Rural Development (FMARD).